A concept of immortality seems to be the solution to what otherwise creates a sense of despair. By immortality is meant an essential element of waking consciousness that survives death – it may experience many changes, but there is still continuity of consciousness. 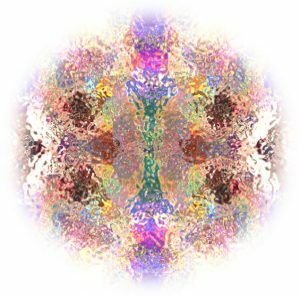 Although it is still difficult to prove the continuing existence of human consciousness, evidence for this is growing as the result of research within the disciplines of science into O.O.B. (out-of-the-body experiences) and also into E.S.P. (extrasensory perception). It has been found that many people have become aware of themselves outside the physical body, which is still on the bed, or in the case of “near death” experiences, on the operating table or in a wrecked car. Such experiences show us that the range of consciousness which we consider “normal” can be extended, but it is left to Theosophical concepts to explain the essential nature of consciousness itself. The Ageless Wisdom (Theosophy) affirms an indwelling spirit which exists before birth and continues to exist after death. Also that each one of us who, in our essential nature are part of that indwelling spirit, are on an evolutionary journey which requires many lives in which to develop our spiritual potential. All of us have therefore passed through the gates of birth and death many times. The research of Dr Ian Stevenson, and others, into the memories many people have (especially in childhood) of previous lives on earth, provides evidence for reincarnation, and thus of continuing existence. Although there is an instinctive awareness that one is more than one’s body, it is difficult to realize that the physical world is only a part of a great continuum of matter, which increases in subtlety or rate of vibration as it extends beyond the reach of our senses. Knowledge of X-rays, radio and television, make it easier for us to accept the reality of the unseen world. Science is dealing with ever-widening concepts of the nature of matter and energy, and the layman is better able to grasp ideas that include invisible as well as visible forces. Accepting the continuity of existence after leaving the physical body, makes death not so very different from sleep. When we go to sleep or are anaesthetized, consciousness is temporarily withdrawn from the body; but we continue to have emotional and mental adventures which we often remember on waking. In our dream state, we plumb depths and reach heights that indicate realms of consciousness beyond those experienced in our waking hours. Theosophy suggests that at death, when the body is abandoned permanently, the consciousness begins a journey into realms much more exalted than those entered while asleep. 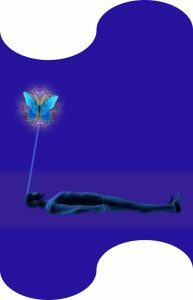 During out-of-the-body experiences one usually sees oneself connected to one’s physical body by a silver cord of subtle energy. At the moment of death, the clairvoyant can see the life-force leave the body by this same cord as a fine silver stream from the crown of the head, but the link between the physical and the super-physical is then permanently broken. According to Theosophy, at death we experience increasing freedom, as consciousness is progressively released from the heavier vibrations of physical matter. A process of purification takes place before the soul can complete the next stage of its journey. By analogy when salt is extracted from sea water, as the water evaporates it leaves a residue which is not pure salt, but which contains impurities that have to be removed; it still has to go through a process of purification. Then one enters the world of mind and further pursues the refinement of life’s experiences. Whether one was a deep thinker, or concerned only with detail of daily existence, what motivated one’s life on earth determines the level of the mental world at which one can begin to extract the essence of one’s life’s efforts. In recent years the testimony of hundreds of people who have experienced “clinical death” have been collected and published by medical researchers, the best-known being Dr Raymond Moody, author of ‘Life After Life’, and Dr Kubler Ross author of ‘On Death and Dying’. The experiences of people who lived to tell what happened to them when they were “dead”, are strikingly similar. For most, the first experience is the passing through a dark enclosure, before their consciousness refocuses and they become aware of themselves, in a hard-to-define “spiritual” body, from which they watch, in a detached way, their physical body being revived on the operating table or rescued from a wrecked car. 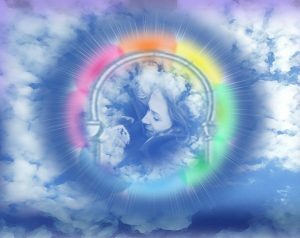 Many then find themselves in a world of light and freedom in which they meet a “being of light” radiating perfect understanding and perfect love. Often they experienced an incredibly vivid instant review or replay of their lives and understand that they must return to complete the unfinished business of this incarnation. Many were reluctant to do so and all testified that the experience completely changed their lives and they no longer had any fear of death. Both modern investigators and the ancient teachings are definite that those present at the moment of death should assist the departing soul, by (where possible) allowing the transition to take place in a calm and peaceful atmosphere. Imagine how it must feel to slip quietly from a pain-wracked body to find yourself free, though perhaps slightly bewildered at first – even unaware that the realm of consciousness which you have just entered is not the physical world to which you have been so long accustomed. As explained in The Tibetan Book of the Dead this adjustment is made more difficult if those who loved the dead person prolong their grief and sorrow. 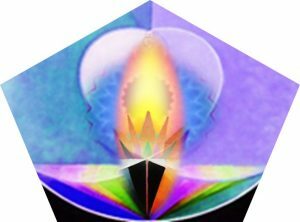 For a fuller understanding of life after death, it is necessary to fully grasp the idea that we are individual sparks of the ‘One Flame’ and have lived many lives; died many deaths. Each life a small step towards a final perfection. A. First of all, there is nothing to worry about. You will never die. The only part of you which will actually die when the change or transition commonly known as “death” takes place is the physical body…. and this is nothing more than your outer shell anyway. The famous poem by Mary Elizabeth Frye says in part: “Do not stand at my grave and weep; I am not there, I do not sleep….. do not stand at my grave and cry; I am not there, I did not die”. The true “I” of your being will never die. Your astral body will eventually disintegrate when the very last particle of the dead physical body disintegrates. Also, the prana (vitality, life energy) which now animates your physical body and keeps you in physical incarnation will return after death to the universal prana. But still you – the soul – will never die. In the very last moments of life, when the body appears dead for all intents and purposes, everything you did, said, thought, and experienced in the life just ended will pass in perfect clarity before your inner vision. You will see the absolute justice and fairness of everything that happened to you in life and how everything proceeded exactly as it should have done, according to the unfailing law of cause and effect, action and reaction, known as Karma. Then the “silver cord” connecting your physical body with its vitalising astral double will break and this is what brings about real physical death. This causes such shock to the soul that the next part of the process will then take place unconsciously to yourself. 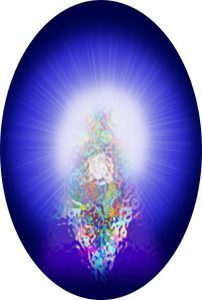 Unconsciously you will enter into Kama Loka, which is the psychic atmosphere or “astral plane” surrounding and to some extent interpenetrating the physical plane. It is a perfect state of the utmost bliss, peace, and joy. There is not even the faintest shadow, hint, or trace of sorrow, disappointment, suffering, or pain there. Everyone and everything you had hoped to be there will be there because it is your own mental creation. Even your loved ones who you left behind on earth when you died and who are still physically alive will be there in your state of Devachan. They will not really be there, but they will seem to be there, so vivid and realistic that you will never be inclined to question the matter or to doubt the reality of your experience for even one moment. This is necessary in order for it to be a state of the highest possible bliss for you. Those of your loved ones who had passed on before you will also be there in your Devachanic state, regardless of how long ago and even regardless of whether they have already reincarnated again. The duration of your stay in Devachan will be in exact accordance with the amount and force of the good or positive Karma that you accrued during the preceding lifetime. This is what sustains and prolongs your Devachanic experience. This will naturally vary greatly from person to person. For you, Devachan may last 1,000 years or even longer. Alternatively, it may perhaps last several hundred years or just several decades. Some people return to earth life after just a few years, primarily if the attraction for physical and material existence is a strong force within their soul. I hope you feel reassured now that death is not the end and birth is not the beginning. This is a summary and overview of what H.P. Blavatsky and her Adept Teachers have to say about death and the afterlife. Our online Bookshop has other theosophical writings which further explore this topic.